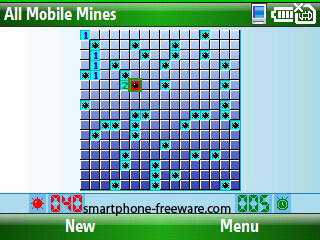 All Mobile Mines freeware for smartphone, Windows mobile phone free downloads. Contains all the features of the PC version on your Windows mobile device. Optimized for stylus play, using gestures you can quickly insert flags and remove tiles. 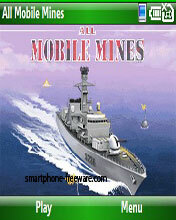 All Mobile Mines is fully compatible with all Windows Mobile Standard devices play in landscape or portrait mode. The game is completely free from Binaryfish. So what are you waiting for? Download it now. yeah, me too.. it says the file cannot be viewed on your device.. im using T-Mobile SDA.. I am a bit torn between only using a saphtmrone type device and having the touchscreen. I think those of us that have used a touchscreen love it for the flexibility of the interface and what you can do with it. I can see advantages for both types. Here are a few I can think of immediately:Touchscreen Pros: more robust user interface, ability to take handwritten notes/draw, greater third-party app supportSmartphone Pros: one-handed use, no touchscreen to calibrate/damage, generally smaller/thinner devicesHaving a touchscreen means that you can do more with interface design, including things like drag and drop. However, a well-written saphtmrone interface takes care of a lot of those issues by allowing you to use keyboard shortcuts and other features with a trackball to do many of the same things. Two good examples of a non-touchscreen interface is the Danger Hiptop (aka T-Mobile Sidekick) and the BlackBerry Pearl. I think that as long as the UI is very well-designed, having a touchscreen doesn't matter. However, most saphtmrone interfaces still aren't mature enough yet.That's why I haven't totally converted over I have both. I use a BlackBerry Pearl for my phone and a Pocket PC for my PDA functions. Yes, both are able to connect to my hosted Exchange account and automatically sync wirelessly, but they each have their own advantages. I personally love the fact that I can take notes without making typing (or even thumbboard typing) noises in meetings on a Pocket PC. Also, I think that for creativity, it is nice to be able to write/draw information, rather than type it on a thumbboard. Having to write longer content is much easier using a stylus than with a thumbboard, especially paired with word completion on Windows Mobile. And, with the increase of good software for converged Pocket PCs, you can have a better one-handed navigation experience (Spb Mobile Shell, etc. ).I think I may always have a Pocket PC device. The ability to have multiple input methods (Block Recognizer, Calligrapher, on-screen keyboard, Fitaly, etc.) makes for a flexible system, depending on my input needs at that time. Being able to drag and drop and more easily perform editing features, such as copy/paste is just too convenient. I think that for users who never used a Palm or Pocket PC, though, they may feel constrained by the touchscreen (This takes too many taps; I can't use it one-handed, etc.). Personally, though, I still like having the touchscreen.